Sparks Roofing is a full-service roofer in the Clarksville, Tennessee area providing high-quality workmanship for both residential and commercial customers. We have been honored with awards for our high-quality services and workmanship that we offer; we pride ourselves on our ability to serve you. We pride ourselves on being the best local roofing contractor, which means doing things the right way, not the easy way. We refuse to take shortcuts, and will always explain every detail of the process before we start so that you can feel confident in all of your roofing decisions. The residential metal roofing systems we install are long lasting, able to endure severe weather, and commonly improve energy efficiency which means significant savings for the homeowner. Sparks Roofing offers metal roofs in a wide variety of styles, colors, and finishes to choose from, including Single Seam. Already have a metal roof but fear that it’s fallen into disrepair? We’re happy to fix and maintain it. 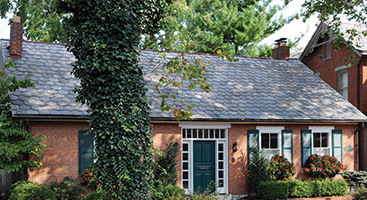 Asphalt shingle roof systems are a very traditional option for our residential customers, and we’re proud to offer only the best brands, styles, and colors. Sparks Roofing experts can take the confusion out of choosing the best shingle roof for your home. If your current roof is fairly ne, but needs some repairs, we’re happy to provide maintenance services as well. Metal Roofing systems are a great choice for our commercial customers because they are known for having long life spans, are durable in severe weather, and are incredibly energy efficient; all of which reduces a company’s operating costs. 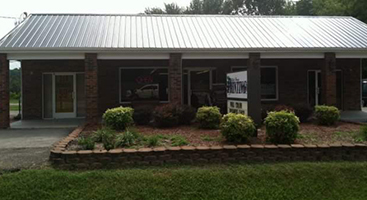 Sparks Roofing is always available to discuss whether a metal roof is right for your commercial building. We’re also equipped to make repairs to your current metal roofing system. Our expert roofers have extensive experience with low slope roofing systems, from Thermoplastic Polyolefin (TPO) to Ethylene Propylene Diene Monomer (EDPM). We’re also happy to evaluate and execute repairs to your current low slope roofing system. 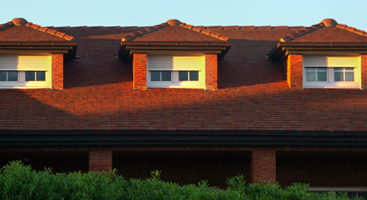 Roofing and gutter systems work together to keep your home safe and dry. Sparks Roofing is pleased to offer a variety of guttering and gutter guard options for your home or commercial building.